However, there could be even more particles in the Zoo. see: Rigid String Construction Theory, based on 4x Macaroni shaped parts, connected by 3x 90 Degree Freedom Hinges: 4x freedom rotations (O,U,L,R). 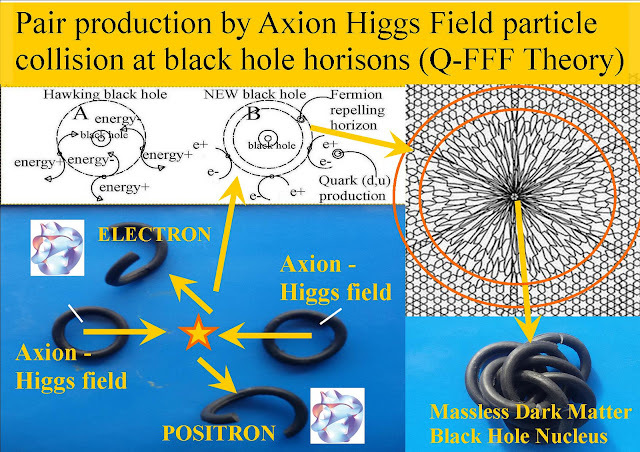 Out of one Axion/Higgs (OOO) Vacuum Field particle comes: 2x Fermions, (e-,e+), 6x monopole Photon/Gluons, and 9x different shaped Neutrinos and one Majorana. (According to Quantum FFF Theory) below. 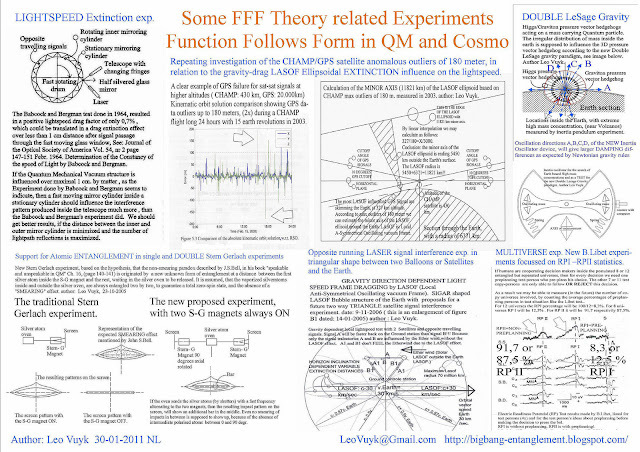 Quantum FFF Theory, a Conscious String Theory with Different Vacuum Trajectories for Axion-Higgs Field/ Photons Respectively Fermions, Gluons and Bosons. Misaligned discs in merger galaxy PG211+143 , even for the Milky Way? Internal structure of a merger galaxy with dual Galaxy Anchor Black Holes=Dark Matter= Former Herbig Haro systems, according to Quantum FFF theory. 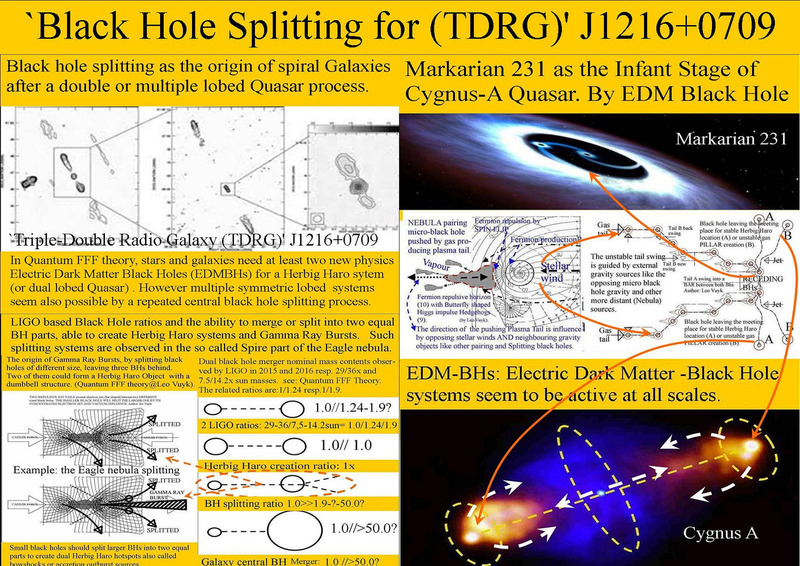 Misalignment of internal discs of galaxy PG211+143 is supposed to be originated by the perpendicular related dual black holes axes. 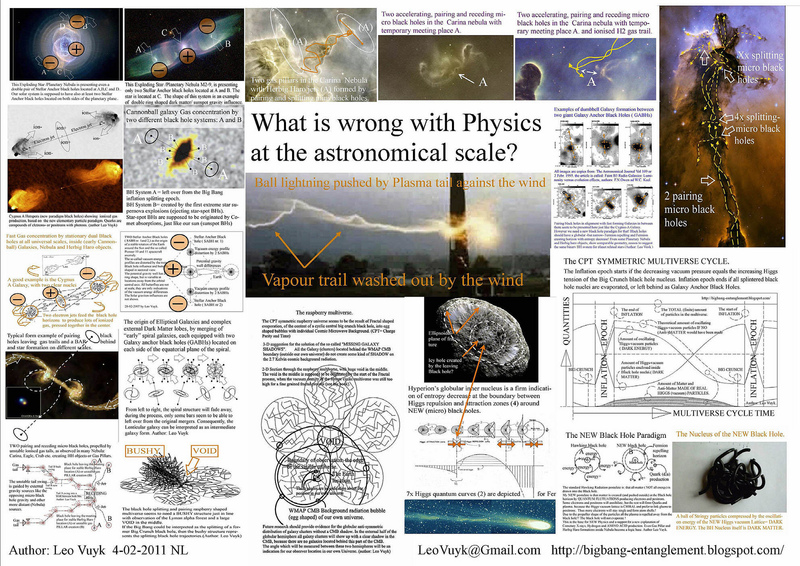 At the same time, it seems the logic start of an Elliptic galaxy configuration! see also: Dual Solar Anchor Black Holes or Herbig Haro hotspots, the origin of quick star formation. and: The Magic of the New Electric Dark Matter Black Hole on Earth and Space..
Dead galaxies seem to heve only two Dark Matter GABHs ( Galaxy Anchor BHs) see below. Herbig Haro Hotspots (Dark matter black holes) even found inside nebula of Super Nova explosions, as the start of new star formation in between two BHs. 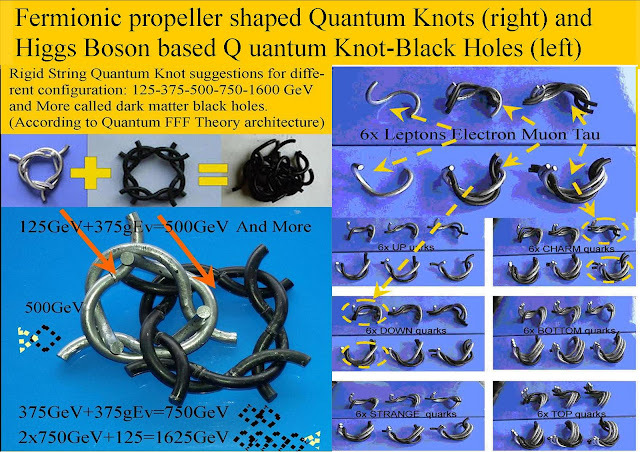 Apparent Violation of the Second Law, Around Black Hole Nuclei and Other Quantum Knots. 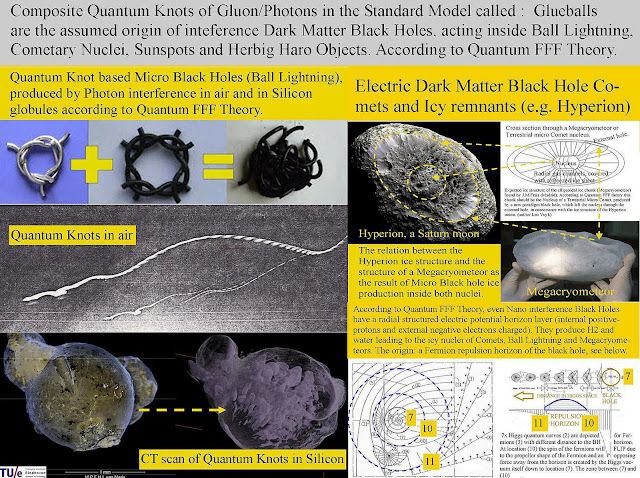 Quantum FFF ( Function Follows Form) theory is a Rigid String Theory which states, that there are no singular string based repulsion forces or attraction forces. Attraction forces should be the result of the dual effect of two opposing photon pulses on a stringy Fermion. As a consequence, only the result of two opposing photons impinging on Fermions has to count as a quantum force and the so called “Feynman diagrams” should be adapted. 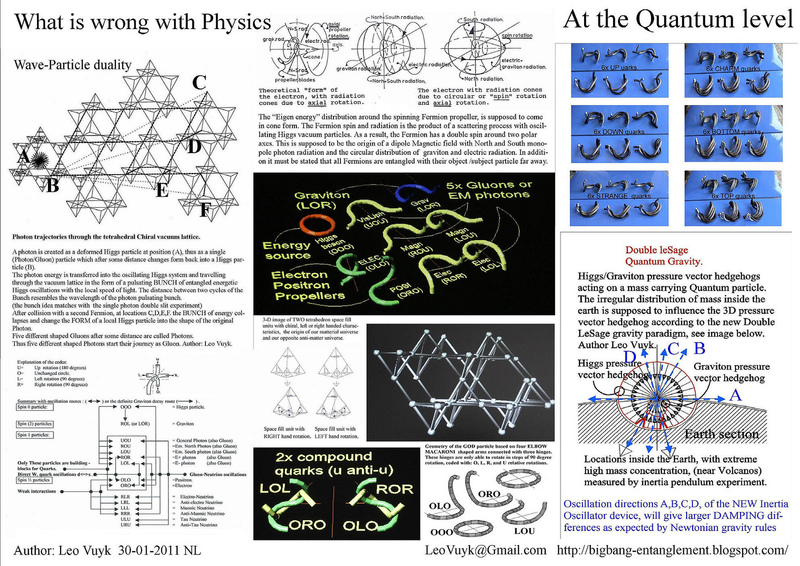 In Q-FFF Theory, the vacuum is seeded with fast oscillating massless Axion/Higgs particles, oscillating along a complex chiral tetrahedral vacuum lattice, which has the ability to transfer Photon and Graviton information in wavelength bunches of oscillations, through the vacuum lattice with the local (mass related) speed of light and the origin of the so called Dark Energy observed e.g. in the Casimir effect. At the same time, only the sum of the different kinds of vacuum impulses with the local vacuum oscillation spectrum coming from all directions on Fermions are responsible for all energetic phenomena in the universe. So, we may call this force a fifth force as it opposes and interacts or compensates all Photon/Gluon pressure effects on fermions in the universe. 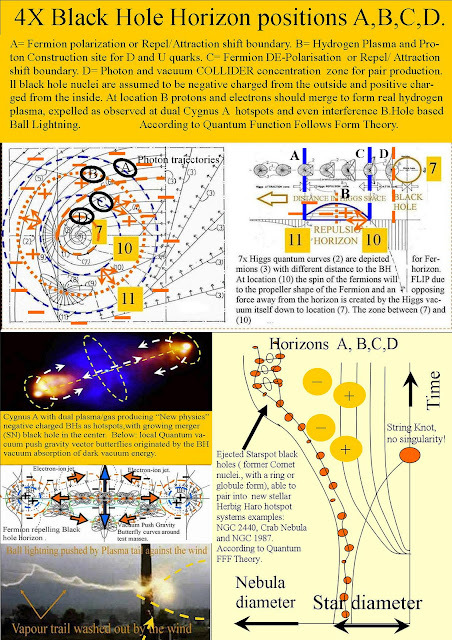 The gravity around Black Holes is assumed to be based only on the zero point oscillation spectrum from outside the black hole without the opposing repulsive gravitons coming out of the black hole. 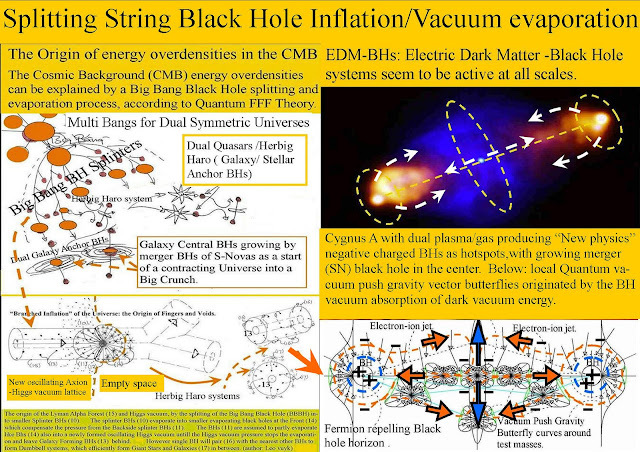 Black holes don’t emit gravitons, consequently they are massless and harbor a nucleus of massless Axion/Higgs based Quantum vacuum knots only able to absorb the incoming oscillating vacuum particles and polarize the surrounding vacuum structure. 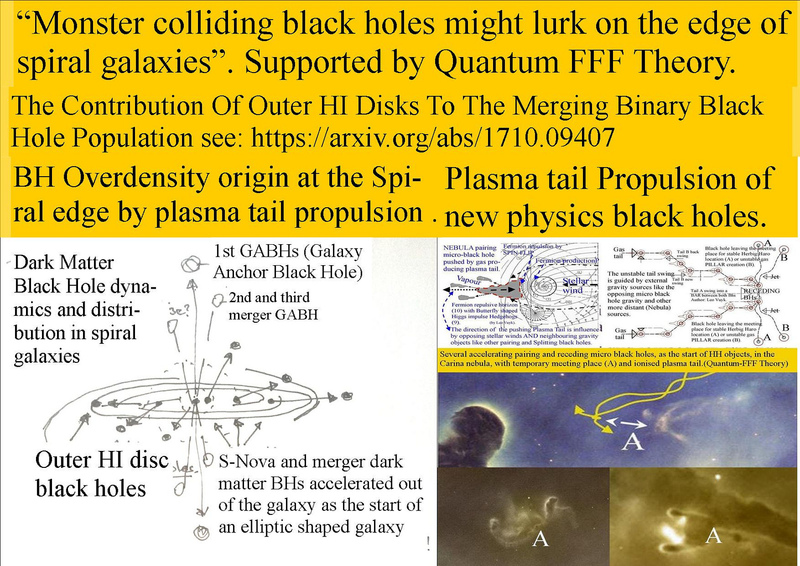 The polarization of the local vacuum is also origin of the black hole repulsion horizon of all propeller shaped Fermions at a certain distance from the nucleus and even the creation of fermions and baryons ( plasma) out of the local vacuum. 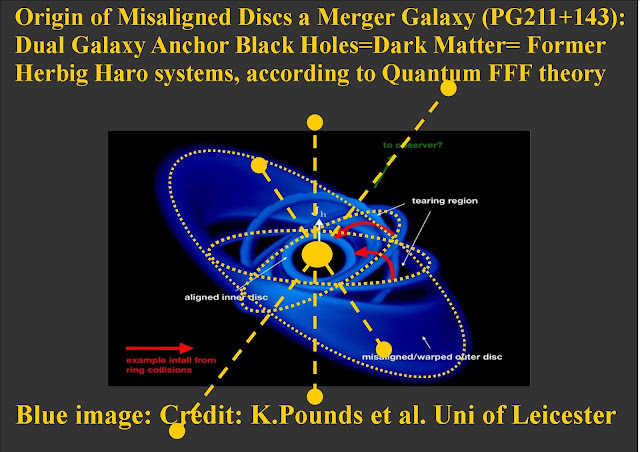 Reason to accept that the vacuum energy around dark matter black holes ( fifth force) combined with the propeller shape of fermions, is the origin of apparent violation of the second law, (entropy decrease) observed on earth and in space. Examples are: plasma tails of Ball lightning and (micro) Comets and Proplyds. 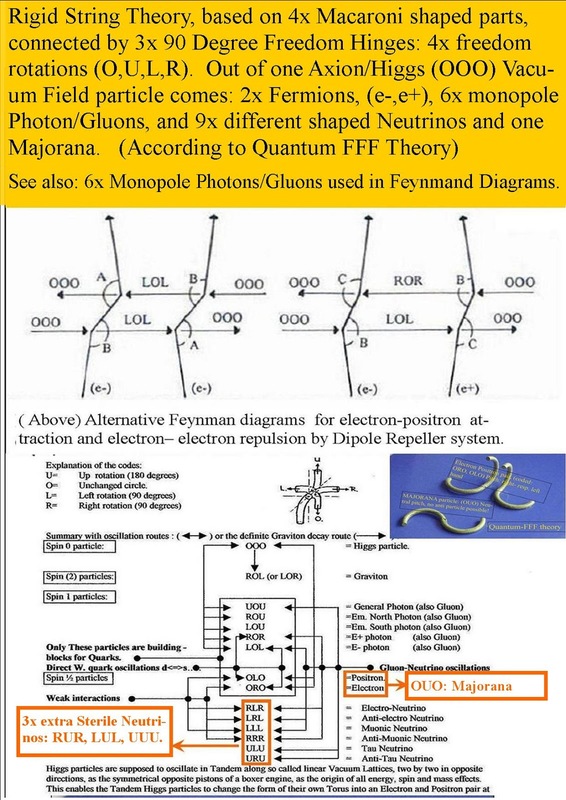 New physics of Quantum FFF Theory as a rigid string theory, is suggested to be a base for Quantum based monopole radiation fields like graviton-, Gamma/Xray-, electric- and magnetic monopole fields. 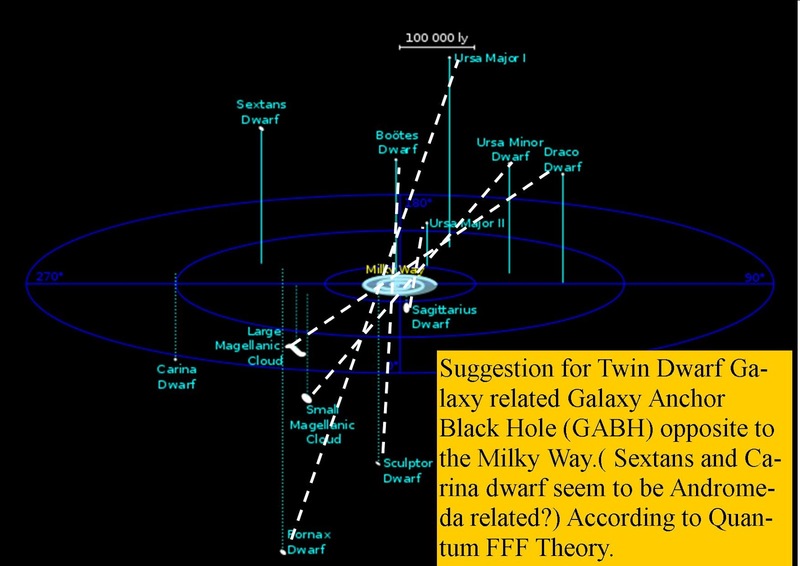 All Star-Planet systems are supposed to be stabilized by at least two polar local stellar anchor black holes (also dark matter) . Interpretated as Herbig Haro systems, these black holes polarize the Axion/Higgs field vacuum around the sun with butterfly shaped fifth force vector bubbles around test masses. 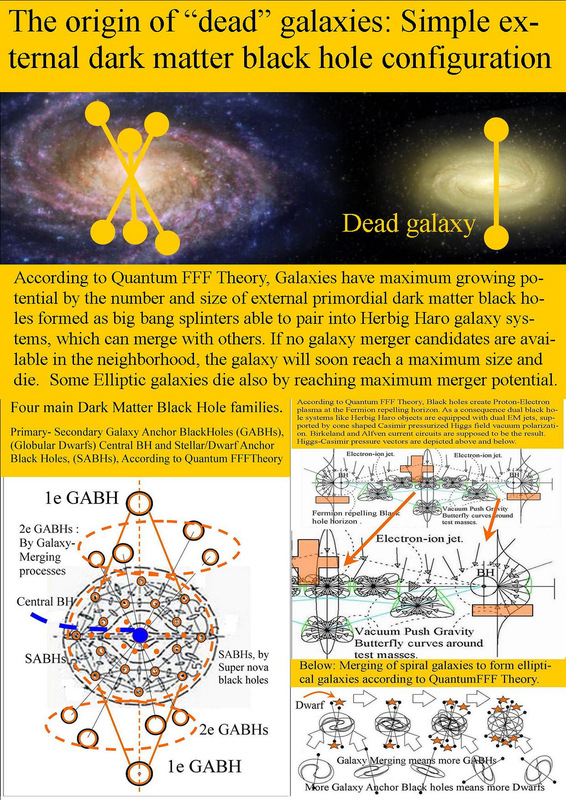 As a consequence, Emerging gravity effects called “dipole repeller gravity”, between galaxies and Galaxy clusters seem a support for the fifth force vacuum pressure gravity postulate. 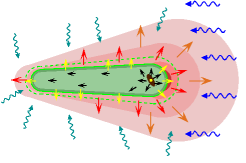 Secondly, the apparent violation of the second law of thermodynamics around both types of black holes (SNova and Interference BHs) is a combined effect between the vacuum polarization and polarized spinning propeller shaped fermions. 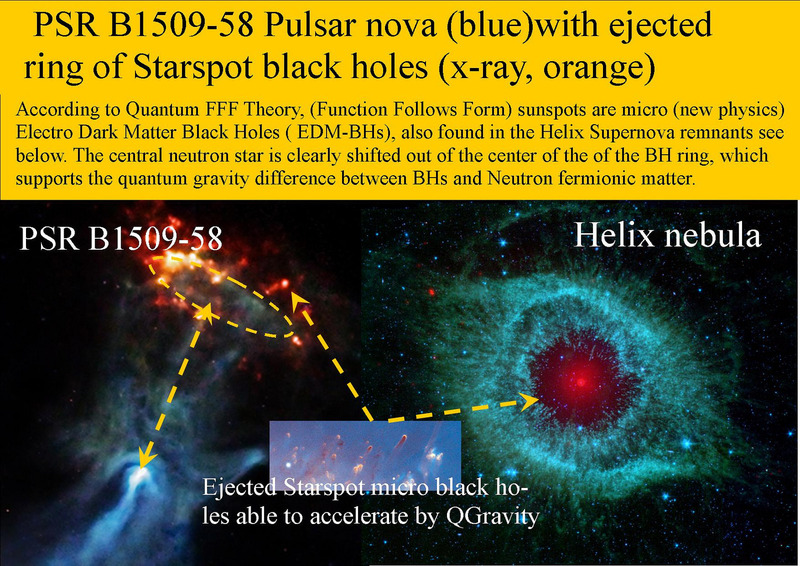 Super Nova star spot black hole ejection are assumed to be of different nuclear sizes. As a consequence, not all Starspot black holes are able to form a dual BH Herbig Haro system with newborn stars in between. Small Starspot BHs seem to be able to form first icy Comets able to collect pebbles from space and form planets. For planetary scale pairing of micro black holes ( forming first icy crusted Comets picking up rubble from space ( Pebble Accretion ) and become rocklike to form a planet. These bodies, called Patroclus and Menoetius, are targets of NASA's upcoming Lucy mission. They are around 70 miles wide and orbit around each other as they collectively circle the Sun. 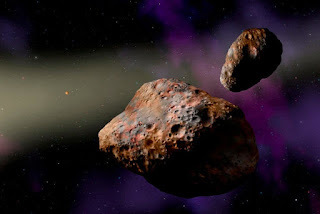 They are the only large binary known in the population of ancient bodies referred to as the Trojan asteroids. Entropy decrease around black holes is apparent violating the 2e Law of thermodynamics. Comets, Proplyds and Ball Lightning and Super Nova BHs (by gravitational implosion). (2) If vacuum energy does not count as energy, then all black holes violate the second law of thermodynamics by a local horizon with decrease of entropy. ( e.g. 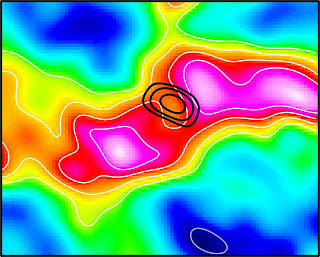 plasma production out of the Axion Higgs field vacuum). 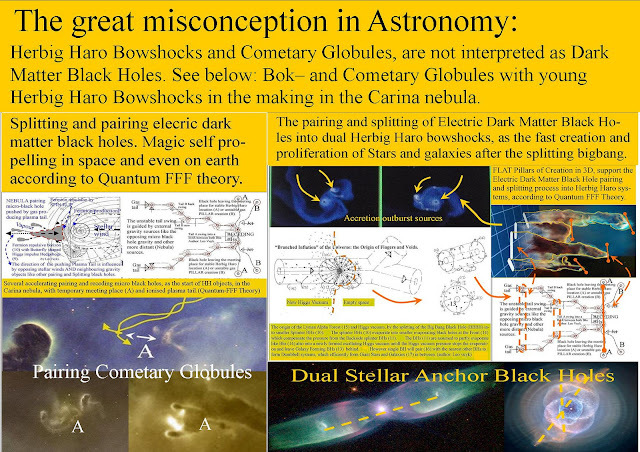 Plasma creation by pair production at most black hole horizons, except for giant BHs like Galaxy Anchor BHs (GABHs, with small horizon curvature) . 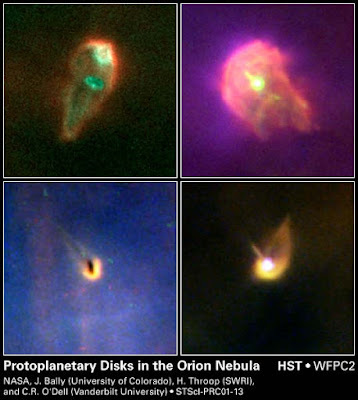 Below: Proplyds ( small BHs: former Starspots, ) pushed by plasma tails able to form dual Herbig haro Hotspots with star ( or failed star) formation in between. 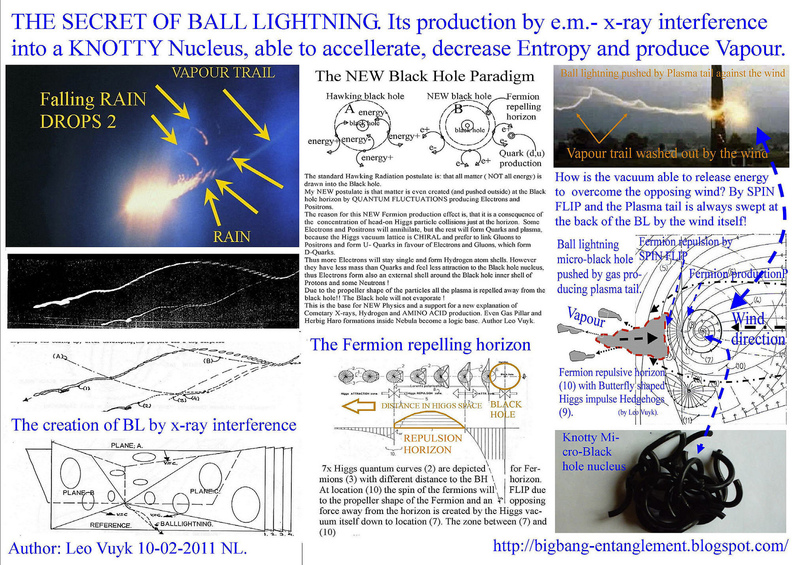 Below: How small black holes like Proplyds and ball lightning are pushed by a self created Fermionic plasma tail pushed away from the black hole nucleus. 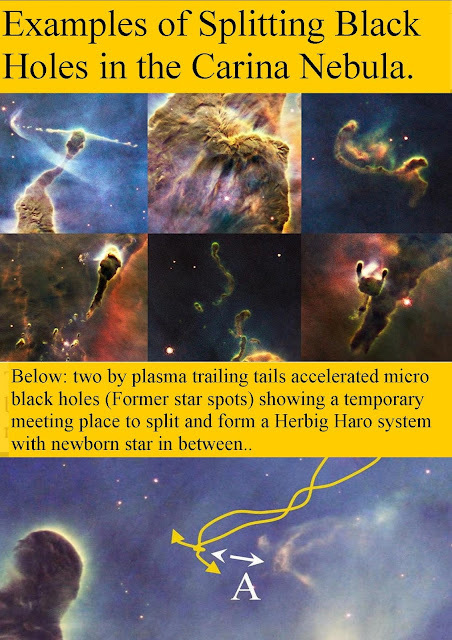 Thestart of a Herbig haro system with JET in between twoBHs. with a tail!! 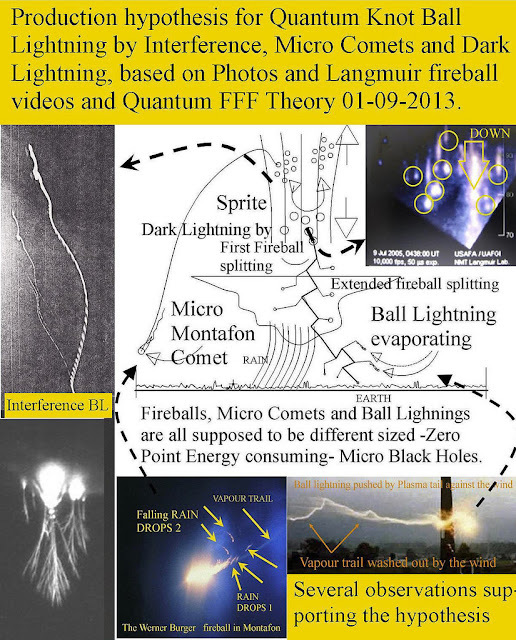 This Ball Lightning Photo is a crucial element of the new black hole physics of Quantum FFF Theory. 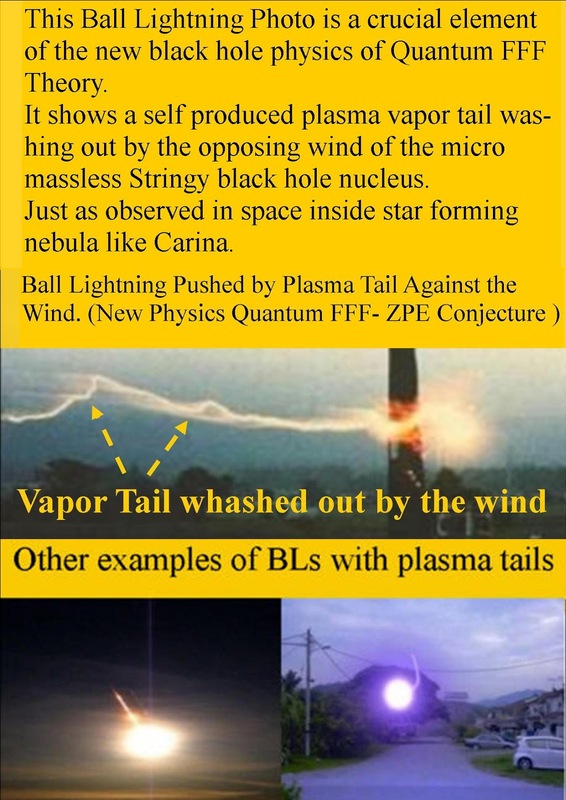 It shows a self produced plasma vapor tail washing out by the opposing wind of the micro massless Stringy black hole nucleus. 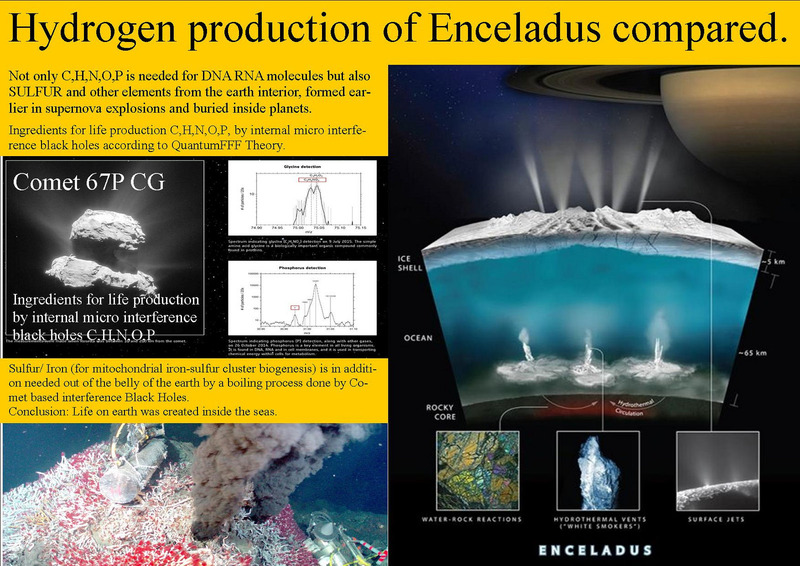 Just as observed in space inside star forming nebula like Carina. and Super Nova BHs (by implosion). (2) If vacuum energy energy does not count as energy, then all black holes violate the second law of thermodynamics by a local horizon with decrease of entropy. ( e.g. plasma production out of the Axion Higgs field vacuum). Abstract, Function Follows Form in Quantum FFF (Q-FFF) Rigid String theory. 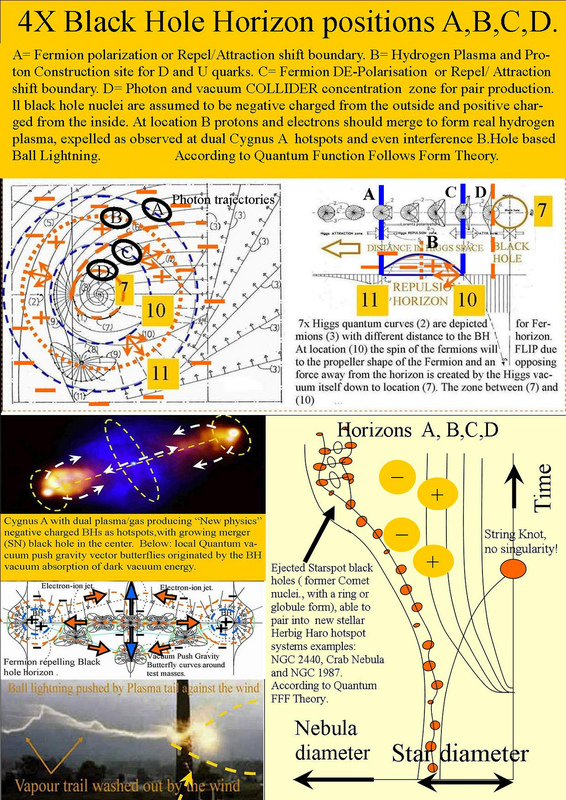 The Form and Microstructure of elementary Rigid String particles, is supposed to be the origin of Functional differences between Higgs- Graviton- Photon- and Fermion particles. Sprite Fireballs and Ball Lightning. Recently the NASA-SOHO satellite photos showed clear evidence of multiple hotspots created at the solar surface. I assume that the majority of the solar hotspots can be compared with Micro Comet- or fireball phenomena related to Sprites on earth as the origin of all Solar centered Cometary structures like the Oort cloud and the Kuiper belt assumed to be expelled from the sun by coronal ejection processes..
Quote: "This has never before been seen around such a young star." What? the triple hotspots with the star formation in the middle!! and two black hole at the outside: interpretation according to quantum FFF Theory! According to Quantum FFF Stars are born inside New Physics Herbig Haro (HH) systems between two pairing new physics Black Holes, in astronomy, always mistakenly interpreted as so called Bowshock Hotspots of both stellar jets. However I assume that these BHs are former Starspots created by Supernova explosions. 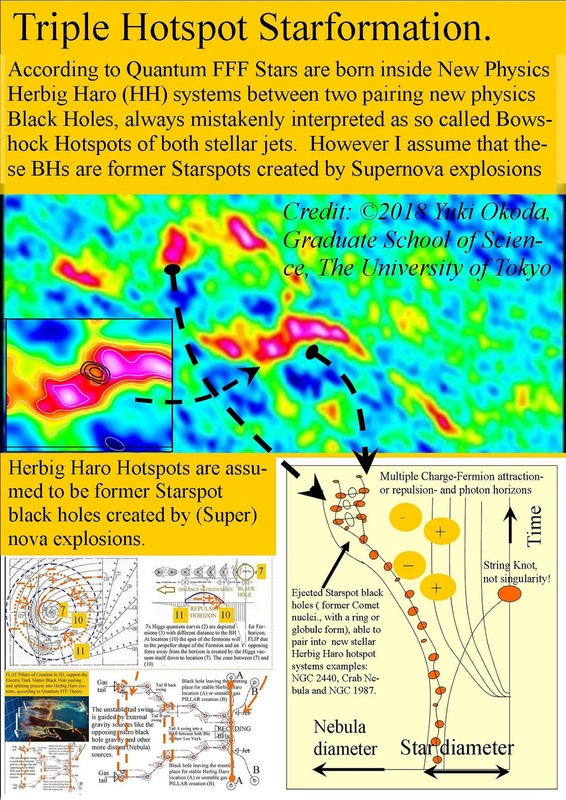 Conclusion: Dual Hotspots seem to be mistakenly interpreted as Young Planets instead of small Black Holes. 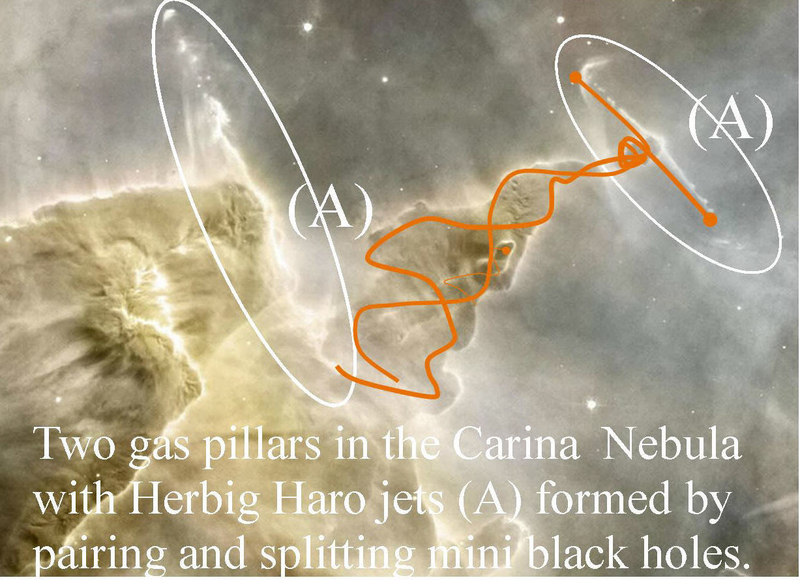 Splitting equal sized Black Holes (former star spots) in Carina supernova nebula forming Herbig Haro dumbbell systems with future newborn stars in between. "High sensitivity studies of Herbig-Haro systems revealed that a large fraction of them showed the presence of central centimeter continuum sources (Rodr´ıguez & Reipurth 1998)." see: "Radio Jets from Young Stellar Objects" by Guillem Anglada · et al. 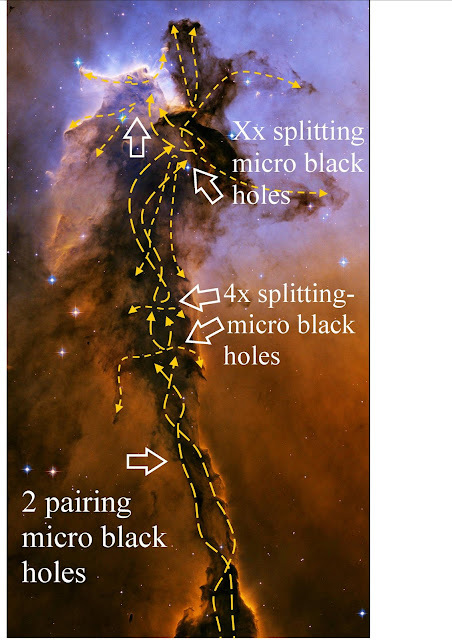 A more complex example of splitting micro black holes ( old star spots) inside the Spire Eagle nebula. 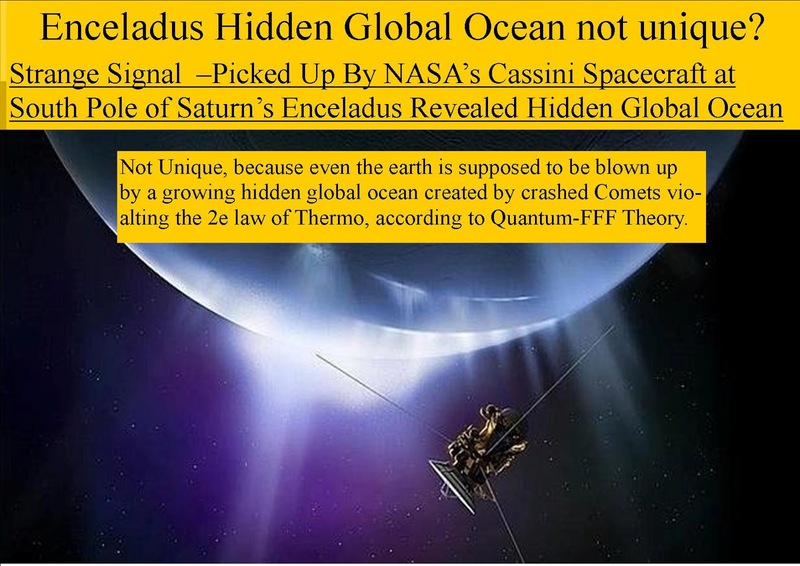 Earth bound Micro Comet splitting into a small nucleus without covering icy shell, seems able to plow into the wind opposite to the "mother"nucleus. The mother nucleus is assumed to be covered by a massive ice shell accelerated from a different location with a different wind direction. Ball Lightning and ( earth bound) micro Comets are supposed to be interference black holes just like space Comets created by the sun magnetic interference at the sun's surface. 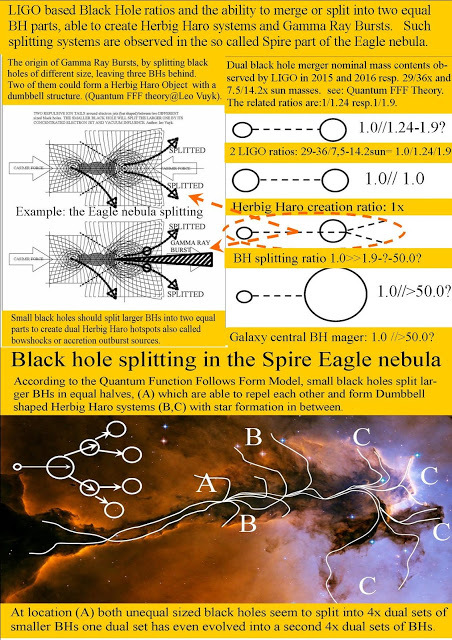 These fresh naked black hole nuclei should be much larger than ball lightning nuclei, but also able to accelerate away from the solar gravity driven by its plasma tail, pointing into the sun's direction and pushing the new comet away forming an ice shell around it by pair production at the globular horizon. Below: the principle of new physics interference black holes, (or quantum knots) such as earth based Comets covered with an icy shell called Cryometeors. Mega Cryometeors sometimes falling from the sky after the unstable Quantum knotty nucleus has fallen apart. 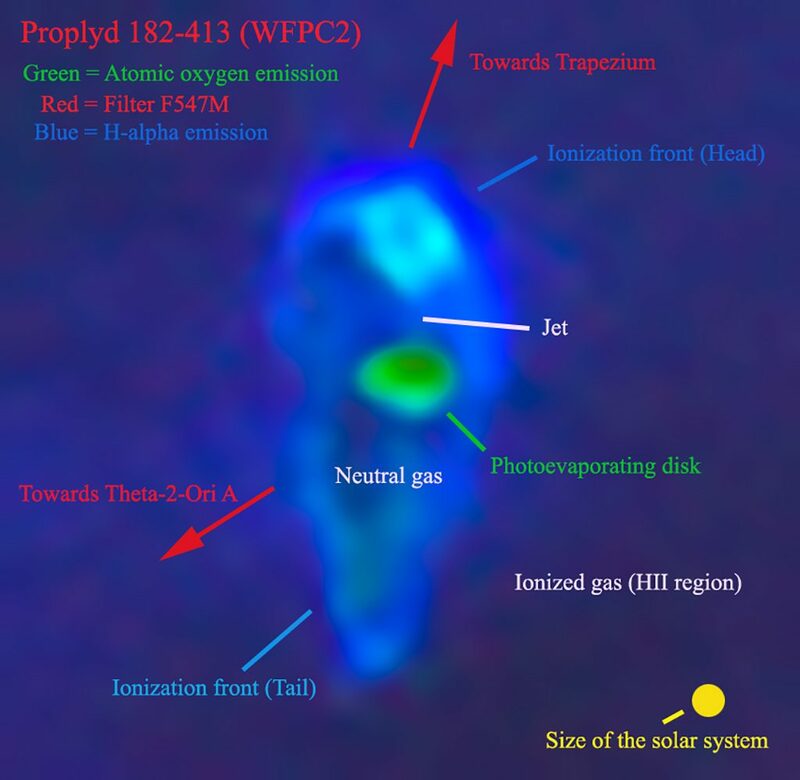 Hyperion should be the result of an old micro Comet abandoned by its former Black Hole nucleus. Micro black hole stringy nucleus: How we could imagine Magnetic particle based string interference into ( unstable) micro comets or ball lightning nuclei. However, You need three magnetic or four X-ray monopole strings to form such knots.